We are about five months from the always exciting release of EA Sports FIFA 17. As always, the game will be the greatest thing ever, everyone will play it and there will be much rejoicing. However, if there is one area of FIFA’s yearly releases that continuously disappoint, it is in EA Sports ridiculously lacking coverage of MLS. With the growth of soccer in America, almost to a fever pitch, it is time that the sporty game kingpins pay some damn attention to the league that is housed by the same countries that they reside in. In fact, doing so would only benefit MLS and it’s following. FIFA has a massive power within the soccer world. It brings new and excited players into close proximity with the greatest sport in the world and before long, they themselves are fans. But that has only worked in the European Leagues because that is all that FIFA has focused on. By delivering a quality portrait of MLS, FIFA can bring more video gamers to the league and create more fans in the process. No one wants to play as a team that is full of players who’s faces all strangely resemble the Pillsbury Doughboy, of varying ethnicity. It creates a separation between the game and the players. Unlike when playing as Manchester United, when Wayne Rooney in all of his Shrek-faced glory is being worshiped by screaming fans at Old Trafford. Which is area one where EA Sports can make inroads. Make the players look like actual people. By having only guys like Steven Gerrard, David Villa and Clint Dempsey look like themselves, gamers inevitably favor those big name stars and not the homegrown players like Wil Trapp. It may seem like a minor change, but it would make the world of difference. Then there is the stadiums. There aren’t many MLS stadiums that have an Olympic track encircling the pitch, but chances are, the generic stadium you choose is going to have one, making you feel right at home. Not. Incorporating actual MLS stadiums, even the problematic Yankee Stadium, will have the same effect as playing as Arsenal at the Emirates. It puts a visual to what it is actually like in person. That’s a big deal and one that is sorely lacking when every other game, you play in the same generic, backwoods stadium. Speaking of stadiums, chants have to be added. Every MLS side has their own unique chants, just like they do in Europe. Unless you have David Villa on your team, then your experience in FIFA 16’s MLS has been devoid of any crowd personality. And while we’re on the subject of David Villa, many fans of New York City FC and Orlando City SC may have noticed that FIFA’s automated Martin Tyler still doesn’t know that their two team exists. Here we are in the second year of their existence and Tyler still strategically skips over them when reading the standings. That is just sloppy on EA Sport’s part. That covers the aesthetic properties of MLS that need to be addressed. Moving on to more important things, we get to the actual season. As it stands, MLS is very European in the way they scout, sign, and transfer. While there are similarities in real life, the game has tragically missed the opportunity to show the differences of MLS by adding in such things as trades. A traditionally American way of making player for player transactions, EA Sports obviously includes trades in all of their other productions of American sports games, so leaving it out of FIFA feels like nothing more than a conscious choice to not confuse Europeans who may want to try their hand at virtually managing the Portland Timbers. EA Sports also retains the mysterious MLS summer break, when the transfer window happens. Again, best not to confuse the Europeans, who have spent their lives thinking that summer is not the time for soccer. Well, it is. Then there are the extra competitions. FIFA 16 did include the U.S. Open Cup, which was well and good. But there is no recognition for teams winning the Supporter’s Shield and there is no CONCACAF Champions League, most likely because they do not obtain the rights to all the different Central and South American Leagues. It’s time to do so. Then there is the matter of player ratings and how MLS players are always rated incredibly conspicuously. It’s all pretty self-explanatory. 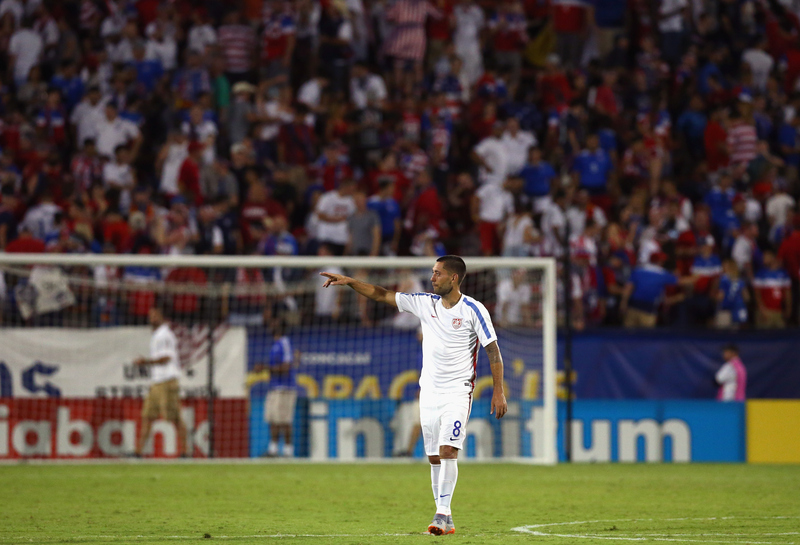 Dempsey is the highest rated American and he only ranks in at an 80. MLS is a very unique league that the world should be paying attention to, but given the lack of international TV coverage, the best way for MLS to gain recognition overseas is through the FIFA series. By neglecting MLS, EA Sports has essentially told the world that soccer in America isn’t worth it just yet. By fixing up how the MLS is portrayed in FIFA, more players will have a chance to delve into the league and all of it’s uniqueness, with the end result being a growing awareness of the league, a bigger fan base and more publicity world wide – three things that MLS is working towards already, but could use a boost in.